Can I Get a Mortgage After Two Years of a Short Sale? If you find yourself unable to make your mortgage payments, it's never going to be good for your credit score. Even payments 30 to 90 days late will ding your record, but ending your mortgage contract before you've paid it in full is even worse. According to the Fair Isaac Corporation, it doesn't matter if you opt for a deed in lieu of foreclosure or a short sale. They'll both affect your credit about the same. 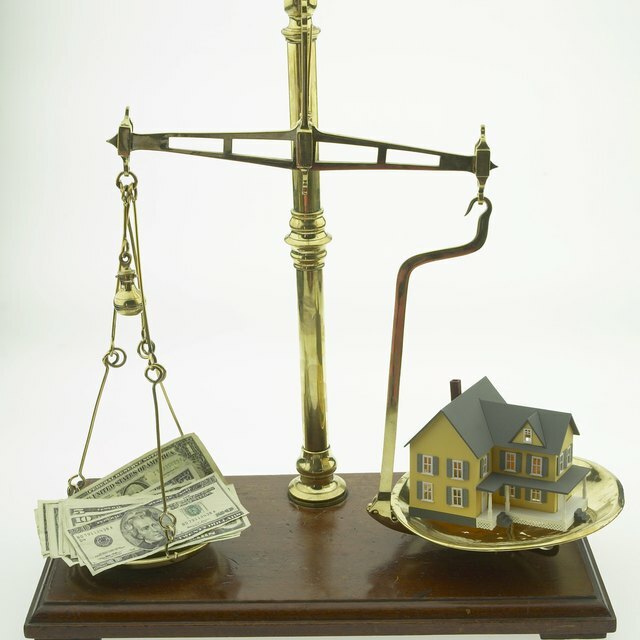 Certain factors regarding your short sale or deed in lieu can contribute to or ease some of the damage, however. In a short sale, your lender gives permission to sell your home for a price that's not sufficient to cover what you owe on the mortgage. This solution is common when the economy is depressed. For example, you might have taken out a mortgage for $250,000 at a time when your home was worth $275,000. Then you lost your job and the market simultaneously dropped. You might still owe $240,000, but your home's value is only $225,000 on the current market. No reasonable buyer would be willing to pay you more than $225,000, so your lender might agree to a short sale rather than go to the time and expense of foreclosing on you if you can no longer make your mortgage payments. Your lender will typically forgive or cancel the remaining balance, which is called the "deficiency." For example, if you sell your property for $225,000 and still owe $240,000, your deficiency balance is $15,000. You must usually prove some unforeseen hardship before your lender will approve you for a short sale. If your lender agrees to accept a deed in lieu of foreclosure, this usually means that you attempted a short sale and failed. A common requirement for a deed in lieu is that you at least attempted to sell your home first, listing it for a period of months. In this case, you can simply retitle your property to the bank or lender – you effectively return the collateral for your loan. This yields the same result as a foreclosure: your lender reclaims possession or ownership of your property. It will then attempt to sell your house to someone else. If it does so for less than what you owed, it may forgive the deficiency. FICO says that the hit on your credit score will be the same for both deeds in lieu and short sales, but that's not to say the effect is the same for every borrower. The better your credit score was before you suffered hard times, the more of an impact a short sale or deed in lieu will have because you have further to fall. For example, if your score was only 620 to begin with, you've already experienced troubles to drag it down, so one more blow won't affect it quite as much. If you never had any other problems, the difference will be more stark. You may take a double hit as well. You probably wouldn't be considering a short sale or a deed in lieu if you weren't behind with your payments, and if you're even 30 days late, your score can drop from 80 to 110 points. If your late payments ultimately result in a short sale with a deficiency balance, your score can drop from 105 to 160 points. Another crucial factor is whether the short sale or deed in lieu actually resulted in a deficiency. By definition, a short sale probably did. If you negotiate a deed in lieu, however, and if your lender actually sells your home for an amount comparable to your loan balance, the damage to your credit won't be as bad. According to FICO, the difference between a short sale or deed in lieu with a deficiency balance and that of a transaction with no deficiency balance can be about 35 points. The Washington Post: What's Worse for Credit Score – Foreclosure, Short Sale, or Deed in Lieu?